What massive voter fraud? This meme provides no link to back up it’s outrageous claim. It just repeats a cherished Republican talking point to appeal to it’s shallow minded readers. Fifty-two percent of Republicans were convinced that ACORN stole the 2008 election for Barack Obama. After the 2012 election , it was forty-nine percent. They believed that ACORN wasn’t the only entity that helped Obama steal the elections. Mickey Mouse , Donald Duck , the walking dead , illegal immigrants , and the homeless of America – thousands upon thousands , all of whom Obama had somehow managed to bus in to polling places all over America – also had a hand in it ( see How Barack Obama Really Stole The Elections : God Told Me Julio Made Him Do It , and How Mickey Mouse , Donald Duck , ACORN , The Homeless , Illegal Immigrants , And The Walking Dead Helped Obama The Weasel Weasel His Way Into The White House ). This is how delusional Conservatives have become in the last eight years who believe this nonsense. Nothing is too extreme ; nothing is too insane. They really are willing to believe that Disney characters and ACORN – which didn’t even exist in 2012! – helped Obama steal the elections. For a party that supposedly benefits from voter fraud time after time , they sure as hell didn’t benefit during the last election. Trump and some of his supporters claimed that it was most likely rigged , even though he became the president. 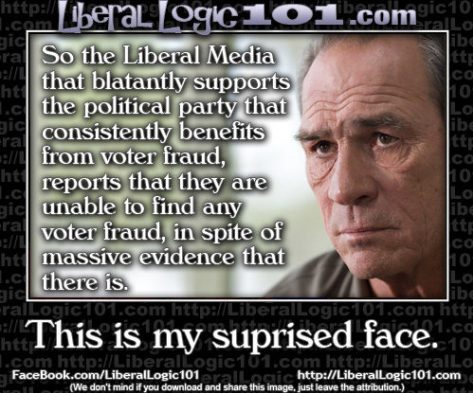 Conservatives have been complaining about voter fraud for years when they lose an election , with no evidence. What they won’t tell you is what voter restriction laws are really all about. That’s the real fraud.